The mere sight of pages of plain text can make your eyelids start to droop Attention Students: Sleep Better at School with These Tips Attention Students: Sleep Better at School with These Tips Read More . Unformatted Word documents signal the reader that this will be a dry and dull read. Nobody wants to endure that kind of boredom. 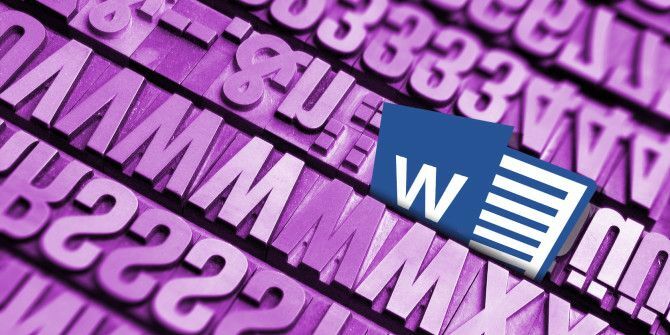 Microsoft Word contains several tools that can help you make your text more beautiful. While overdoing it can fill your document with distractions, a sensible approach to design and decoration can add some important visual interest and sustain your reader’s attention. Here are five tips on how to make your document’s visual reading experience more attractive in Word. One of the easiest ways to spice up your text in Word is to introduce some new fonts. You can find plenty of free fonts online The 8 Best Free Font Websites for Free Fonts Online The 8 Best Free Font Websites for Free Fonts Online Not everyone can afford a licensed font. These websites will help you find the perfect free font for your next project. 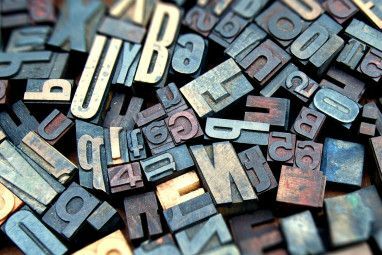 Read More , but it’s worth taking a moment to consider whether you want to use the OTF or the TTF format OTF vs. TTF Fonts: Which Is Better? What's the Difference? OTF vs. TTF Fonts: Which Is Better? What's the Difference? Most fonts these days are either OTF or TTF, but what does that mean? What are the differences? Should you even care? Read More before you start your search. Most fonts are downloaded as a .zip file, so first extract that archive if necessary. Depending on the font, you might receive just one file, or several with additions to their name like “bold,” “light,” and “expanded.” These are slightly tweaked versions of the font with amended dimensions — they can be very useful if you’re looking for perfection, but most users will be well served by the normal version alone. To install a font in Windows 10, all you need to do is double-click the OTF or TTF file and Windows Font Viewer will open automatically. You’ll be given a full preview of the character set, and if you have administrator privileges, you can click Install to make the font available across your system. A drop shadow is a classic graphic design technique So, You Want to be a Graphic Designer? So, You Want to be a Graphic Designer? Read More that you can use to make text stand out. Word offers a few different ways to achieve this, but you can create it manually and have full control over the way it looks by using a text box. First, type out your desired text and format its size and font to your specifications — you’ll need to decide on how you want it to look before you create your shadow. Once you’re set, copy the text and head to the Insert tab to create a new text box. Now, paste your text into the text box and make sure it looks just like the original. Double-click the text box to jump to the Format section and use the dropdowns in the Shape Styles section to set the Shape Fill to No Fill and the Shape Outline to No Outline. Recolor the text in your text box to whatever shave you want your shadow to be. Then, right click the text box and set the Wrap Text option to Behind Text. Reposition it underneath your original piece of text so that it looks like a shadow. This technique will help any piece of text stand out, but it’s particularly handy when you want to place some words over an image and keep the text legible. The drop cap, the oversized first letter of a paragraph, may be a very old technique, but it’s never been as easy to achieve as it is today. 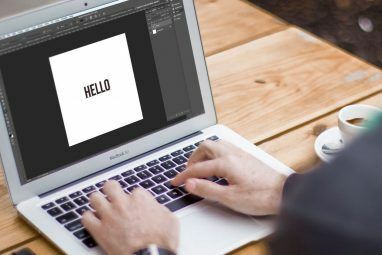 Microsoft Word can outfit your document with this attention-grabbing visual flourish in a matter of seconds, giving you the means of adding interest to a large block of text, or simply calling to mind a classical era. Head to the Text section of the Insert tab and find the Drop Cap dropdown. You’ll be able to create a very simple drop cap by selecting either Dropped or In Margin here, but for the best results you will need to click Drop Cap Options, while your cursor is in the paragraph you’re looking to add the feature to. Select Dropped and adjust the Distance from text to 0.2 cm (0.08 inches) — you may need to tweak the amount, depending on the font you’re using and the scale you’re working at, but the drop cap can sometimes look awkward in comparison to standard line spacing when it’s left at 0. Your choice of font will be key to the overall effect. A stark sans font can work well if your primary aim is an eye-catching look, but a more traditional drop cap can be attained with a showier serif typeface. Used carelessly, the Text Effects available in Microsoft Word can easily call to mind the worst excesses of WordArt. However, as long as you don’t overdo it, these effects can give your document some real visual punch. To access the Text Effects menu, head to the Home tab and click the pop-out button in the Fonts section. Then click the Text Effects button in the window that opens up. The Text Fill option is a great way of adding some color to a piece of text. Solid Fill will just apply a single hue to your selection, which can be done with far less fuss, but the Gradient Fill option offers plenty more nuance for any budding graphic designers 6 of the Best Online Schools for Graphic Design 6 of the Best Online Schools for Graphic Design Long distance learning over the Internet can be just as beneficial as physical enrollment. But which schools are good? Here are some of the best online schools for graphic design in the US. Read More . As well as several presets, the Gradient Fill menu can be used to hone in on a specific color blend to fill your text with. You can add and remove gradient stops using the two buttons to the far end of the color line, then adjust individual colors by clicking on their corresponding stop and tinkering with the Color dropdown situated directly below. You can get some great effects using a gradient fill, but it’s crucial that you carefully choose your colors How To Learn Color Theory In Less Than One Hour How To Learn Color Theory In Less Than One Hour Basic knowledge of color theory can mean the difference between an "amateur" aesthetic and a "professional" one – and it really doesn't take long to learn. Read More to make sure they work well together. Remember, to choose colors and color combinations based on your intended audience. You can also use Text Effects to add an outline to your text, which can really help the words stand out against a background. To get started, head to the Text Effects menu once again, but this time click on the Text Outline dropdown. You’ll see Solid and Gradient options, just as you did on the Fill section of the menu earlier. Setting up the color gradient works exactly as above, although obviously the results will be a bit more subtle because only the outline will be affected, rather than the text itself. Use the Width field to adjust how thick the outline is until you’re happy with the results. Adjusting the space between individual characters of text may seem like a minor tweak, but it can have a powerful impact on its overall appearance and even its readability. The most important thing to remember when adjusting character spacing is that less is more Write! : A Minimal Word Processor with Cloud Sync, Markdown & More Write! 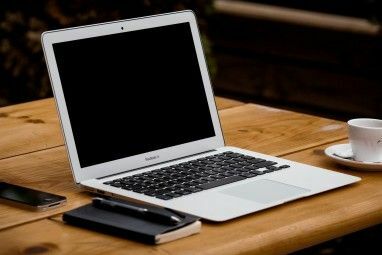 : A Minimal Word Processor with Cloud Sync, Markdown & More Whether you’re a blogger, note-taker, or quality-conscious social media addict, an app like Write could go a long way. Read More . A lot of care and attention goes into font design, so it’s not always wise to make your own modifications. However, sometimes a small piece of prominent text like a title needs some alterations before it looks correct. To get started, ensure that you have your text set up to your specifications in terms of size and font — adjustments to character spacing should be the final step towards perfecting your text. Once you’re ready, highlight the area you want to tweak and click the pop-out button on the Font section of the Home tab. Once you’ve experimented with these controls a little bit, you should be able to use these options to fine-tune your text. For instance, certain fonts might work better if the characters are grouped close together, particularly if the typeface is based on handwriting 15 Free Handwriting Fonts You Should Download Now 15 Free Handwriting Fonts You Should Download Now Whether you're creating an infographic or coming up with a logo, you may be in need of a good handwriting font. Check these out! They're some of the best for free. Read More or calligraphy. Alternatively, you can expand the character spacing of some text to make it wide enough to fill a space without increasing its height. This technique is particularly effective when combined with more minimalist fonts. With good formatting, your text not only looks more pleasing, but it also offers anchors for the eyes and helps your reader flow through the document. Do you have any top tips on how to make text more beautiful in Microsoft Word? Or perhaps you have a particular problem that you’re looking for help with? To offer up assistance — or find it — head to the comments section below. Explore more about: Fonts, Microsoft Word, Reading.